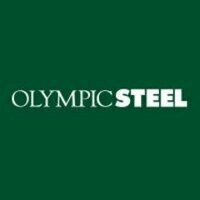 Olympic Steel Inc., a national metals service center, has promoted Terry Rohde to vice president – operations, and Matthew Grussing to general manager of the company’s Minneapolis plate division. Rohde began his career at Olympic Steel in 2001 as operations manager at the company’s Minnesota coil facility. In 2004, he transitioned to sales manager at the Chicago division and was promoted to general manager in 2008. As general manager, Rohde also oversaw the start up of the company’s third temper mill at its new facility in Gary and was later named general manager of the Gary operation in 2011. Rohde was promoted to director of operations in 2017, where he was responsible for facilities and equipment on a company-wide basis. Rohde earned a bachelor of science degree in manufacturing engineering from the University of Wisconsin-Stout, and completed the MSCI strategic metals management program at Washington University. He will to report to Andrew Greiff, executive vice president and chief operating officer. Grussing joined Olympic Steel in 2010 and has held a variety of roles with increasing responsibility including quality control and both Inside and outside sales. Grussing is a graduate of Bemidji State University with a bachelor of science degree in business administration. He will report to Tom Sacco, regional vice president and general manager.